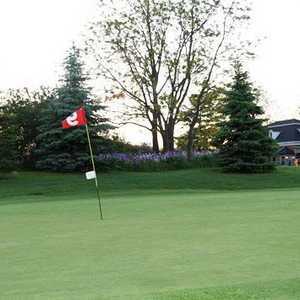 The 18-hole Glancaster Golf & Country Club in Mount Hope, ON is a semi-private golf course. Glancaster Golf & Country Club measures 6287 yards from the longest tees and has a slope rating of 127 and a 69.9 USGA rating. The course features 3 sets of tees for different skill levels. 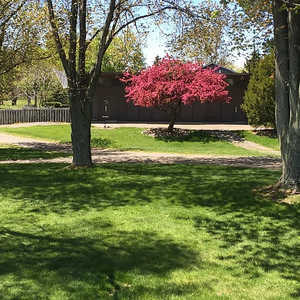 The 18-hole Chippewa Creek Golf & Country Club - Red Falcon/Gold Eagle in Mount Hope, ON is a semi-private golf course. Chippewa Creek Golf & Country Club - Red Falcon/Gold Eagle was designed by Rene Muylaert. The 18-hole Southern Pines Golf & Country Club in Mount Hope, ON is a semi-private golf course that opened in 1963. Southern Pines Golf & Country Club measures 4058 yards from the longest tees and has a slope rating of 96 and a 61.1 USGA rating. The course features 2 sets of tees for different skill levels. The 18-hole Chippewa Creek Golf & Country Club - White Hawk/Gold Eagle in Mount Hope, ON is a semi-private golf course. Chippewa Creek Golf & Country Club - White Hawk/Gold Eagle was designed by Rene Muylaert. Willow Valley Golf Course has a unique layout that combines the best elements of both links and dunes golf. Each hole was carefully designed to test your course-management skills and overall abilities, though accurate shot-making and ball placement are more of a priority than length in scoring well.